If you wake up in the morning with soreness in your jaw and a case of throbbing headache, then it is very possible that you are suffering from bruxism. More popularly referred to as teeth grinding, bruxism is just that— the often unconscious grinding and clenching of the teeth. Bruxism is a serious oral health condition in the sense that it can cause teeth to become loose from the gums and painful. Furthermore, frequently recurring episodes of bruxism can literally result to gradual ground away of the teeth. It is also not unheard of for cases of teeth grinding to eventually cause temporomandibular disorder. 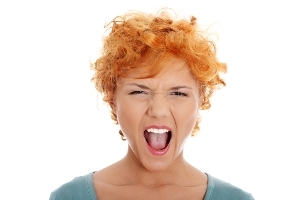 Bruxism results from a variety of causes. Experts from both the medical community believe that bruxism is more than a habit. 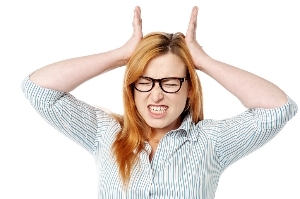 At present, there is a growing belief that bruxism is largely related to stress or anxiety. As such, it is also possible that bruxism could possibly result from medicines that are prepared to treat depression. Dental experts are also convinced that bruxism results from the improper alignment of the teeth. Your daily dental habits significantly impacts not only your oral health, but also your overall health and general well being. 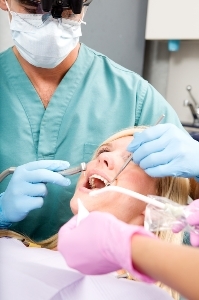 Neglecting good oral practices can result to things worse than sore teeth and bad breath. Growing bodies of research are starting to comprehensively connect the once undiscovered link between unwanted oral health anomalies to systemic diseases such as heart disease, bacterial pneumonia, and stroke. Regularly consuming high-sugar foods largely contribute to dental decay and periodontal anomalies. Simply put, a sugar laden diet allows for the perfect oral environment where dental decay-causing bacteria to exponentially and aggressively multiply. Call us today on (07) 5503 1177 or simply book your appointment online to claim your FREE dental consultation. Despite all the modern advancements in the field of nutrition and modern dentistry, recent bodies of research acknowledge the possibility that ancient humans might have had healthier teeth than most modern humans. Researchers believe that the significant oral health decline over the past 7500 years can be attributed to several factors. The most prominent of which being human evolution in the face of aggressive industrialization. Researchers say that these unnatural changes have brought about the evolution of oral health bacteria, along with a wide range of unwanted oral health problems. Lead author of the study and professor-director of the University of Adelaide’s Australian Centre for Ancient DNA reports that since the introduction of processed sugar in the Industrial Revolution, people have suffered a dramatic lack of diversity in oral bacteria. This decrease in diversity allowed for cavity-causing strains of oral bacteria to run rampant and dominate both the modern man’s dental and periodontal surfaces. The international team of researchers that conducted the study examined the ancient DNA samples that have been preserved in calcified dental plaque. The DNA samples were harvested from 34 prehistoric Northern European skeletons. Using these samples, the researchers of modern dentistry were able to analyze how oral bacteria have changed over the course of time— from Stone Age, to the time of hunter-gatherers, to medieval, and to present-day that came about after the industrial revolution. Your diet directly affects your mouth and your oral health. If you eat right, the nourishment you receive helps build a better body, and therefore healthier teeth and gums. It is not an exaggeration to say that the food you eat can ultimately prevent dental decay and periodontal disease. While a healthy diet, especially one that is rich in fruits and vegetables, generally improves the wellbeing of your mouth, there are a few standout foods that can bolster your oral heath. While most vital during the physically formative years of childhood, the value of calcium doesn’t diminish even as we get older. A daily diet with adequate calcium levels help prevent otherwise unnecessary cases of dental decay. A study that saw publication in the Journal Of Periodontology reports that people whose daily calcium intake are at 500mg, or about half the recommended dietary allowance, were at a significantly higher risk of suffering from periodontitis than people who meet the recommended calcium intake. Foods rich in vitamin C are essential both in repairing connective tissues of the body and in fighting off viral and bacterial infection. Researchers at the State University of New York at Buffalo publish a study that reports that people whose daily vitamin C consumption are at 75 mg per day are approximately 25% more likely to develop early stage gum disease that those whose daily diet meet the average vitamin C requirement. Technically referred to as periodontal disease, gum disease is a chronic infection that affects the soft periodontal tissues. Gum disease typically results to a number of unwanted dental anomalies such severe soft tissue damage and tooth loss, among many others. If left untreated for a significant amount time, chronic infection of the gums is known to negatively impact the heart, overall health, and general wellbeing, altogether. Gum disease typically falls under 2 basic classifications. Gum disease is either in its earlier age, which is referred to as gingivitis, or in its more advanced stage, which referred to as periodontitis. Typically characterized as early stage gum disease, gingivitis often manifests as swollen gums that bleed easily. For the better part of it, most cases of gingivitis are still easily treatable and even reversible. All it takes to treat gingivitis is the rigorous practice of good dental habits such as brushing with fluoride toothpaste, flossing with good quality mouthwash, and rinsing with dentist recommended mouthwash. These, of course, are to be complemented with regular visits to your dentist. If you were to visit the local oral health section of your pharmacy, chances are that you would be confronted with an all too wide array of mouth rinse products, all of which promising to be the very best in protecting your teeth and gums. Which of these products live up to their promises? And perhaps more importantly: Do you really need to use a mouth rinse? 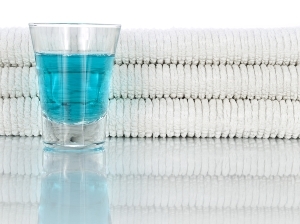 According to Assistant Dean for Community Partnerships and Extramural Affairs at Boston University Henry M. Goldman School of Dental Medicine, Michelle Henshaw, DDS, MPH, there are essentially 3 major categories of mouth rinse from a consumer perspective. First, there are mouth rinse products that are formulated with fluoride. Then there are mouth rinses that formulated to fight against plaque and gingivitis. And there are cosmetic mouth rinse products that most obviously freshens your breath.